This 150 feet tall ferris wheel was built in 1995. 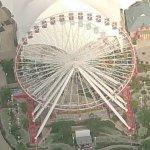 It is the second ferris wheel to operate at Navy Pier. The original measured 260 feet tall and carried 2000 passengers. It was built for Chicago's 1893 World Colombian Exposition and was removed in 1906. The current wheel has 40 six-passenger gondolas and operates year-round. Nice map! Navy pier Chicago is the best place to bring your kids. 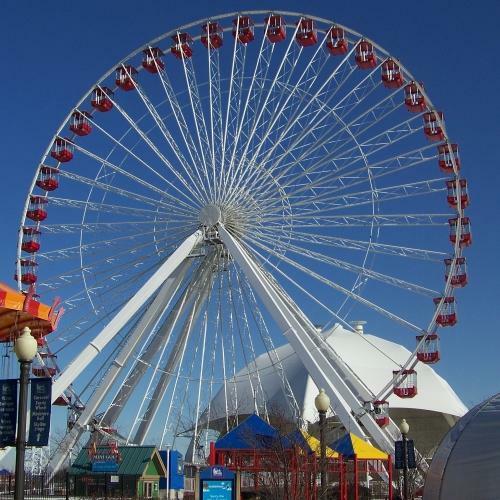 The focal point at the Navy pier is a largest Ferris wheel which can show you the sky view of Chicago skyline and will surely fascinate children towards it.